The low-down on capped price servicing! Capped-price servicing is one of the buzz phrases doing the rounds in the new car market in Australia. But what does it mean and is it all it’s cracked up to be? The basic idea of capped-price servicing is to offer buyers peace of mind when buying a new car. Dealerships will give new car owners an idea of how much their car servicing costs will be over a set period, so that they know in advance how much they’ll have to fork out. Most of the big brands offer capped-price servicing, but the Australian Competition and Consumer Commission (ACCC) has recently investigated the program offered by Kia, and is set to investigate further into what other manufacturers are offering. The ACCC issued a statement about Kia and its capped-price servicing offer, stating that a provision in its terms and conditions that allowed the price of scheduled services to be increased over time was “misleading”, given the scheme supposedly implied the price of a scheduled service was fixed for the entire term. 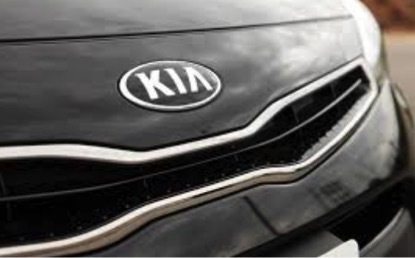 In other words, Kia’s conditions said it could scale up the price of a capped service, likely by either linking it to the CPI or passing on increased parts of labour costs, at any time after purchase, couched with the fact that a ceiling — albeit a higher one — would remain in place. website starting in 2012 which, in its words, represented to consumers that its scheduled service prices were capped at a maximum price set upon purchase. Kia has since amended its terms and conditions to ensure that its service prices were “genuinely capped”; written to affected consumers confirming the applicable capped service prices for their vehicle; and offered to refund any amounts paid by consumers above the capped service prices that applied to their vehicle when it was purchased. Due to the ACCC’s investigation, several car companies have reviewed their capped-price servicing plans and more importantly the terms and conditions. The corporate watchdog has re-iterated that it is “reviewing other offers made by other manufacturers”. The point is here that a buyer can be influenced by promises of capped, or fixed, price servicing, but that reading through the small print is important. Since the ACCC investigation many car manufacturers posted on their websites that they where reviewing their policies. Consumers still need to be careful with capped price servicing, just because it’s capped price servicing doesn’t mean it’s the best price. At Cooper Automotive, we also offer fixed price servicing which in most cases is cheaper than the dealers capped price service plan and without the need to read the small print. We also promise that ‘the price we quote is the price you pay…guaranteed’. And coming to us for peace of mind has no effect on your dealership warranty…at all.